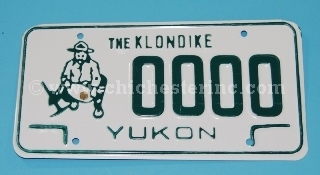 These souvenir license plates are from the Yukon in Canada. They are available in four styles. 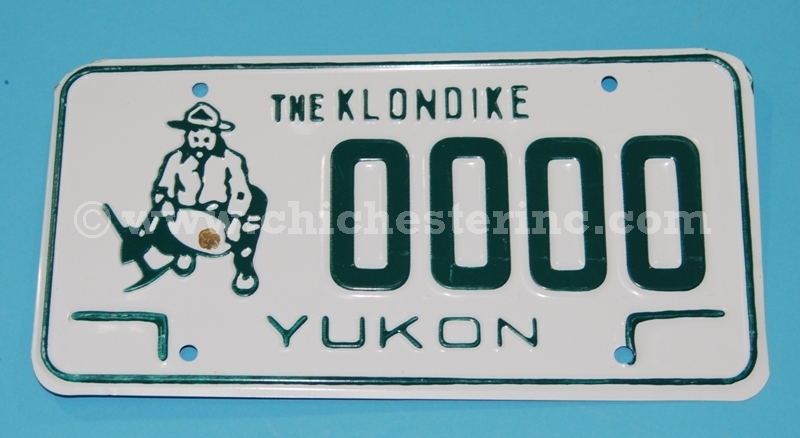 The Yukon/Klondike license plate pictured above is 12" long by 6.25" wide. It weighs 0.39 lbs. All of these plates look the same and have the same "0000" number. The other three styles have different numbers so we sell them as gallery items, i.e. you can choose the exact plate that you want. Our Gxx codes denote individual pieces. If you would like to order a specific license plate, please go to our Gallery to pick the exact one shown.